Teaching with Chromebooks? 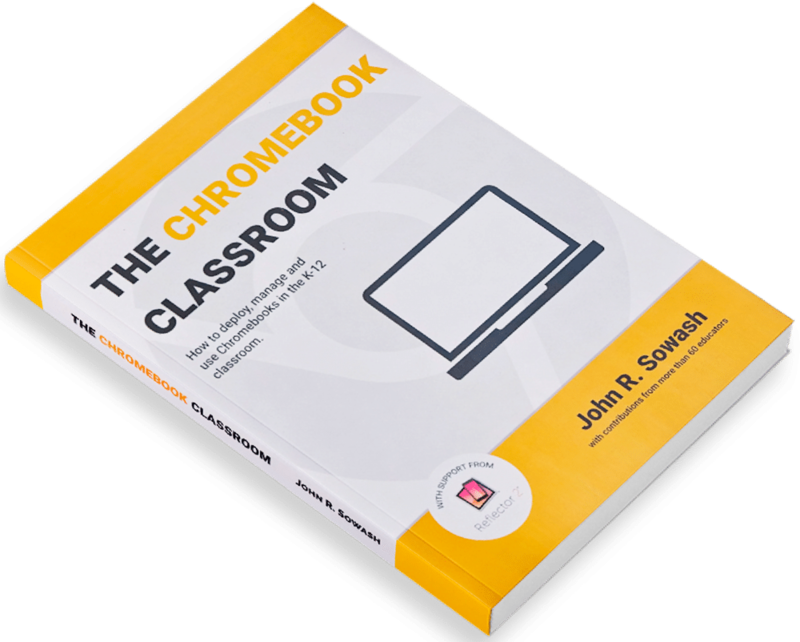 You need a copy of The Chromebook Classroom! The Chromebook Classroom gives you a fast, clear road map for turning a new fleet of Chromebooks into rich learning tools for a single classroom or an entire district! The Chromebook Classroom is the perfect companion for educators just getting started with Chromebooks – or looking for new ways to boost their students’ learning through technology. Take full advantage of the Chromebooks in your Classroom! The top Chrome apps and extensions for your classroom. 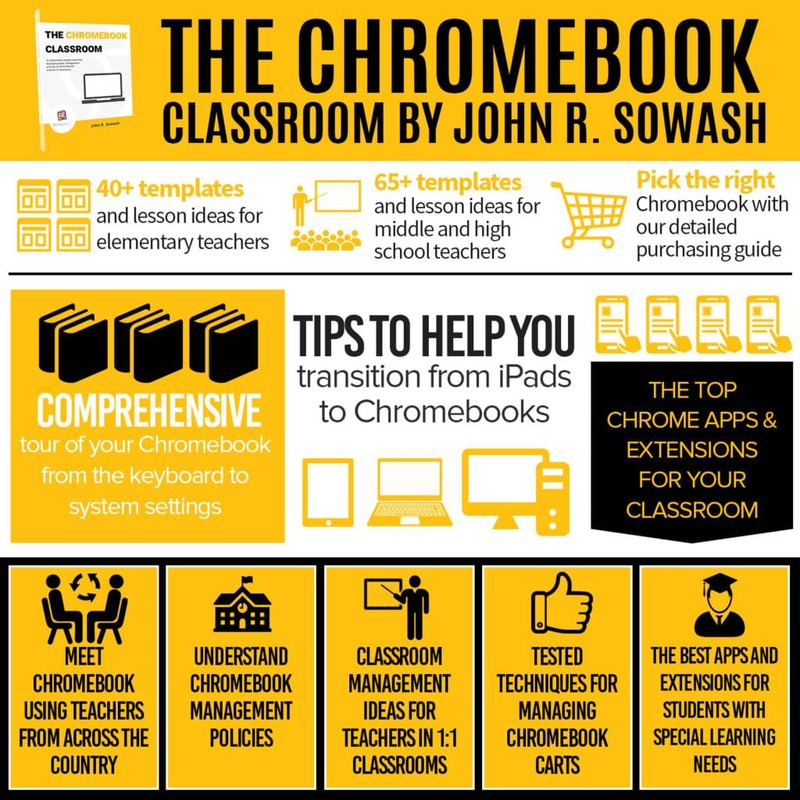 Looking for new ways to use Chromebooks in your classroom? Classroom management ideas for teachers in 1:1 classrooms. Tested techniques for managing Chromebook carts. The best apps and extensions for students with special learning needs. 40+ lesson ideas and templates for elementary teachers. Testimonials from 1:1 and cart based schools. Detailed information on insurance, cases, and on-site Chromebook repairs. What are educators saying about The Chromebook Classroom? Starting a 1:1 Chromebook Program? Buy the book for your staff! The Chromebook Classroom is the perfect resource to help your teachers prepare for a 1:1 program. 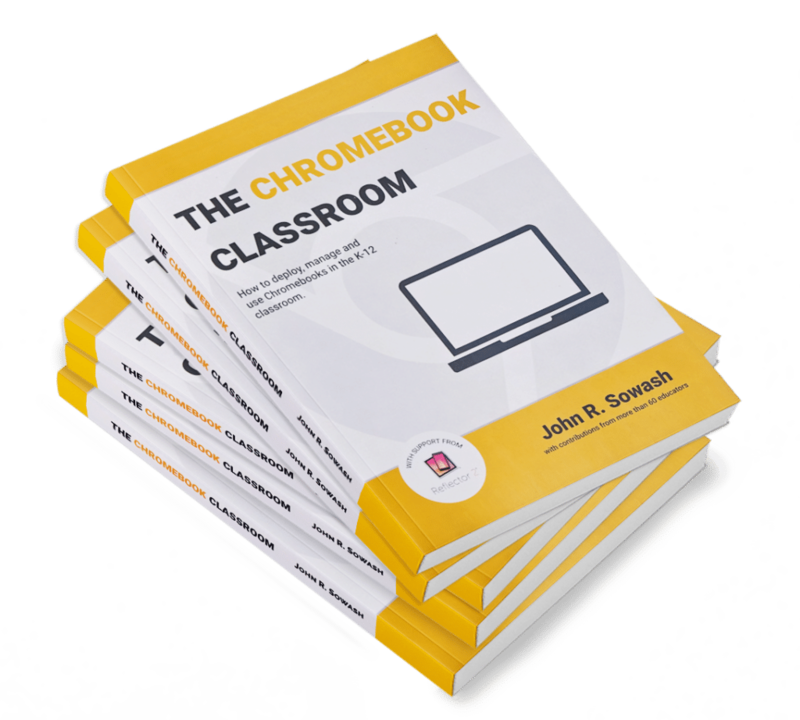 If you would like to purchase bulk quantities (10+ copies) of The Chromebook Classroom I can provide a discounted rate and accept purchase order payments. Need a LOT of books? Email me! To take advantage of bulk pricing please email me. Bulk pricing is not available on Amazon.